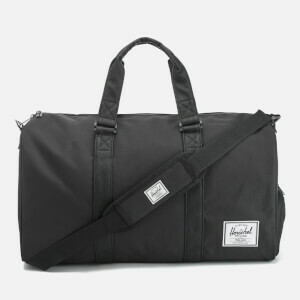 Mid-volume duffle bag from Herschel. 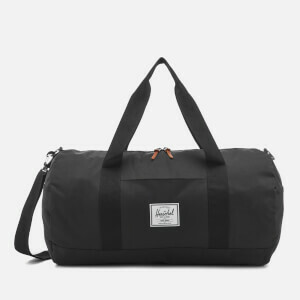 Crafted from durable polyester, the cylindrical 'Sutton' combines large volume with modern styling. 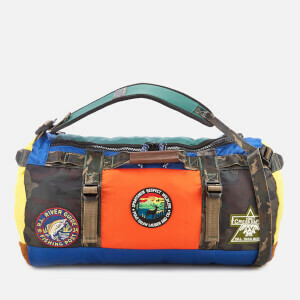 Inspired by timeless sailing bags, the design features a pair of nylon webbing grab handles, a two-way, 8pt plastic zip fastening with pebbled leather pulls, and a spacious interior lined in signature striped fabric. 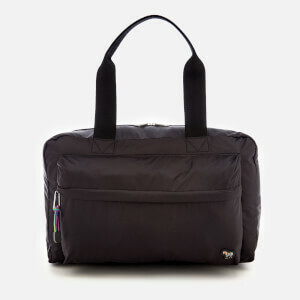 Lateral snap-fastened slip pockets enhance practicality, whilst a removable shoulder strap offers carrying versatility. 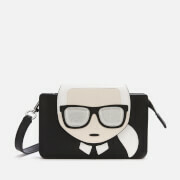 Complete with a fully drainable base with metal grommets, and a classic woven label.